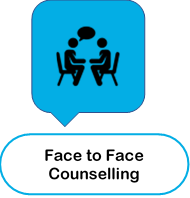 Counselling provides you with a confidential space within which to talk about issues that are troubling you so that you can explore your thoughts and feelings about them. This can offer you the opportunity to reflect on the past to gain an understanding of your current situation, so that together, we can find new solutions or more helpful coping strategies to help you reach your goals. People come to counselling for many different reasons. Some people may be looking for help with issues, such as, anxiety and/or depression, stress, low self-esteem, panic, phobias, social anxiety, relationship issues, anger, OCD, bereavement, chronic pain, to name but a few. Other people may be looking for support with personal development and growth. 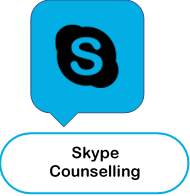 I can offer you a confidential space to talk and explore the issues with which you are seeking support. By focusing on your goals, we can work together to help you find your way and reach your goals. I work with adults over the age of 18 years, and offer individual counselling both in the short and long term. This is a relational approach that addresses the unconscious content of your psyche. The therapeutic relationship is important, and by helping you to become more aware and bring unconscious feelings into your consciousness, the aim is to alleviate psychological tension. The central idea of CBT is that our thoughts influence our emotional, behavioural and physical responses. CBT aims to help you manage overwhelming problems by changing the way you think and behave in order to improve your mood. 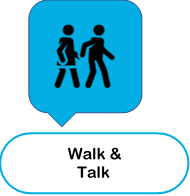 Sessions are structure, usually involving some psychoeducation, development of coping techniques, as well as completing in-between session tasks. This is a client-centred approach that focuses on the way in which you perceive yourself consciously rather than how the counselling psychologist interprets your thoughts and ideas. Through being genuine and non-judgemental, the counselling psychologist works to understand your individual experience from your point of view, and strives to communicate this understanding through empathy.